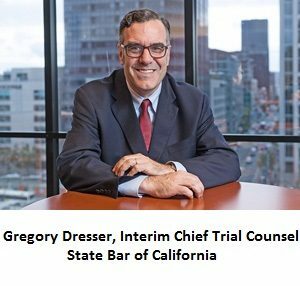 Despite evidence that state bar prosecutors withheld exculpatory evidence in a disciplinary case, the State Bar of California refused to appoint an outside investigator and refused to investigate the case itself. Instead, a senior state bar attorney allowed his employees to exonerate themselves. Meanwhile, in a related lawsuit, the state bar refused a settlement offer that would only have required the bar to refer criminal misconduct to the state attorney general’s office. The state bar instead chose to face trial rather than report the alleged crime (more on that below). According to a letter that I received yesterday from Acting Assistant Chief Trial Counsel Donald R. Steedman, his employees had no legal duty to disclose evidence that contradicted their arguments before the state bar court. That’s not only wrong, it’s preposterous. Under California law, it is a crime for a prosecutor to hide evidence that tends to prove the innocence of the defendant. Ms. Batchelor admitted that she made the statement to Mr. Yearout, but in a sworn declaration she claimed that he misunderstood what she meant. Even if that was believable (it’s not), it does not change the fact that Ms. Batchelor and Mr. Henderson were legally obligated to disclose the exculpatory evidence to Mr. Robertson and the court, something that neither of them did. Nonetheless, Mr. Steedman allowed Ms. Batchelor to exonerate herself and Mr. Henderson simply by signing the sworn declaration claiming that she had done nothing wrong. In his letter, Mr. Steedman wrote that his decision to dismiss the grievance was supported by the fact that an appellate panel refused to dismiss the bar’s case against Mr. Robertson on the grounds of prosecutorial misconduct, but that argument is ridiculous. The appellate panel did not offer a reason for its decision to deny Mr. Robertson’s motion, and it certainly did not exonerate Ms. Batchelor or Mr. Henderson. In fact, the appellate panel could yet sanction them for withholding the evidence even though it did not dismiss the case. Fortunately, I can appeal Mr. Steedman’s decision to the California Supreme Court, and that’s exactly what I intend to do. But is it any wonder that the California Bar is constantly embroiled in scandal and controversy? How can the state bar assert the moral authority to prosecute attorney misconduct when it covers up attorney misconduct in its own ranks? On June 8, 2016, Mr. Robertson received a letter from the state bar rejecting his settlement offer in Robertson v. Armendariz, a case in which he sued the state bar for misconduct related to his disciplinary case. Granted, settlement offers are rejected every day, but this was not your average settlement offer. Mr. Robertson had offered to dismiss all of his claims against the state bar if it would simply refer the alleged crimes of Mr. Cartinhour and his attorneys to the California Attorney General’s Office. From a defendant’s perspective, that should have been a no-brainer. It would cost the state bar nothing to refer the alleged crimes to the California Attorney General, and the AG would be under no obligation to investigate. Even if the AG decided to investigate, Mr. Robertson was only seeking an investigation of Mr. Cartinhour and his attorneys, not the state bar itself, so the state bar would have nothing to lose. Or would it? In my June 1, 2016 letter to the San Francisco grand jury, I alluded to an ongoing fraud that Mr. Cartinhour’s attorneys are trying to perpetrate on the state bar. Mr. Cartinhour’s attorneys have not yet collected their $7 million judgment from Mr. Robertson, so they are seeking to recover some of the money from the state bar’s client security fund. As I’ve reported on DirtyRottenJudges.com, however, the $7 million judgment was procured by fraud, and fraudulent judgments are legally unenforceable. After trial in D.C., we learned that Mr. Cartinhour’s lawyers had tampered with evidence around the same time that they were secretly (and illegally) communicating with U.S. District Judge Ellen S. Huvelle, who was presiding over the case. That fraud extended to California when Mr. Cartinhour’s attorneys tried to get money from the client security fund, and that’s why Mr. Robertson asked the state bar to refer the matter to the attorney general. Yet the state bar would rather face a trial — and a potential injunction — than ask the attorney general to investigate the alleged crimes of third parties who ostensibly have no connection to the state bar. Meanwhile, Ms. Batchelor and Mr. Henderson have tried to help Mr. Cartinhour and his attorneys recover money from the client security fund, even though they knew that the D.C. judgment was obtained by fraud. In fact, Ms. Batchelor and Mr. Henderson have never disputed the fact that the D.C. judgment was obtained by fraud. Ironically, Mr. Cartinhour’s attorneys first sought to recover some of the $7 million judgment from the client security fund in D.C., where Mr. Robertson is also a member of the bar, but the D.C. bar rejected that request. Yet the California bar plows ahead, hiding exculpatory evidence, covering up for corrupt prosecutors, and choosing to face a lawsuit rather than ask the attorney general to investigate the crimes of Mr. Cartinhour and his attorneys. I suspect most of that can be explained by individual and institutional arrogance. Ms. Batchelor didn’t want to admit that she was wrong about Mr. Robertson, so she hid evidence that would tend to prove his innocence. And the state bar did not want to admit that its own prosecutors are corrupt and unethical, so it buried my grievance against Ms. Batchelor and Mr. Henderson. But that still doesn’t explain why the state bar would rather face a lawsuit than refer Mr. Cartinhour and his attorneys to the attorney general. I have to wonder if there’s more to this than the potential for embarrassment. Maybe the bar is worried that a criminal investigation of Mr. Cartinhour, et al. would lead to a criminal investigation of state bar officials? Did Texas’s top liquor cop get unearned credit at VIP police academy run by her husband?